After the announcement of the newly formed NYSSCOGS/NYS Girls High School Soccer of Fame and its inaugural class, hosting the 1st ever induction ceremony and hosting a HS Tournament including 28 of the top teams in the state, everyone involved is preparing for another amazing class, ceremony and tournament (which now includes 34 teams). How can we top our inaugural year? Well, the Class of 2018 listed below is an extension of the dynamic, eclectic, diverse and obviously successful characteristics of our former inductees. The class of 2018 includes 3 Time NYS champions, New York State and Gatorade Player of the Year award winners, NCAA All-Americans and National Champions, former and current women’s professional league athletes (both in the US and Foreign) including the #1 overall pic in Cari Roccaro (drafted by Houston and currently playing for Carolina Courage) and Casey Zimney who played along side with Mia Hamm for the Washington Freedom of the WUSA, along with former members of the US Women’s National Team as well as current High School and Collegiate Coaches. We are extremely excited once again to celebrate our amazing New York State High School Girls Soccer Hall of Fame inductees and former student-athlete GREATS! North Carolina continued a dominant streak by capturing its ninth consecutive NCAA title in 1994 with a win over the University of Notre Dame. Danielle Egan moving the ball forward in this game adding to the impressive 206-2-8 stretch over 9 years. Danielle was also inducted into the LI Soccer Hall of Fame. Sarah Popper-Michner: She was a five time All -League, four time All-Greater Rochester, and two time All-State selection in soccer. 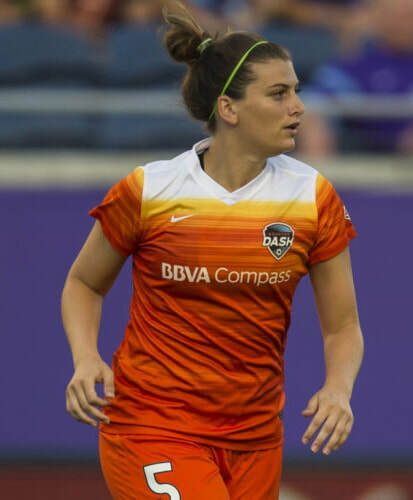 Her soccer career continued at Division I UConn where she excelled being named a multi –year All Big East first team athlete and was named an All-American in 2002 was an assistant coach for the University of Louisville women's soccer team from 2005-2006 and played two years for the Boston Breakers. 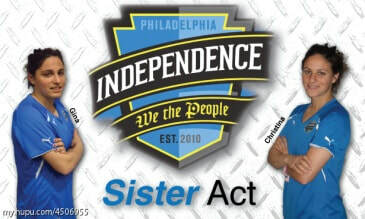 Sisters Gina and Christina DiMartino playing professionally together. 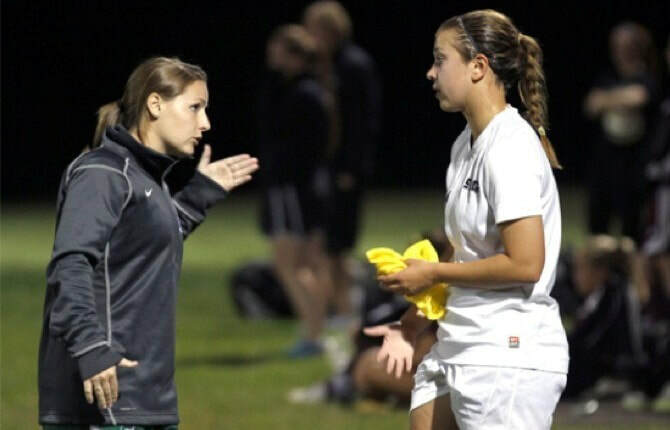 Ashleigh Moore seen here coaching Sage College, was a Parade Magazine High School All-American as well as playing professionally with the Adirondack Lynx of the Women's Premier Soccer League (WPSL) in 2006 and 2007. Won 3 NCAA Division I Championship titles (2006, 2008, and 2009) with UNC. Casey Zimny of the Washington Freedon and teammate Steffi Jones celebrate during a WUSA game against Carolina Courage. Kim DeCesare (Massapequa / Duke U.) 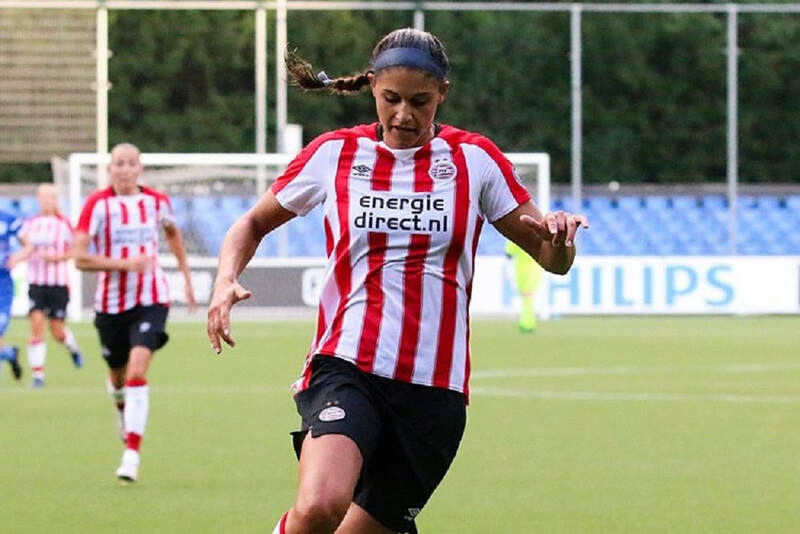 was the first American to sign with the PSV women’s team seen playing here. Kim also played in the NWSL for Sky Blue and a former NYS Player of the Year.